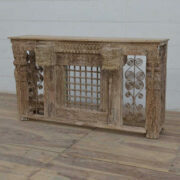 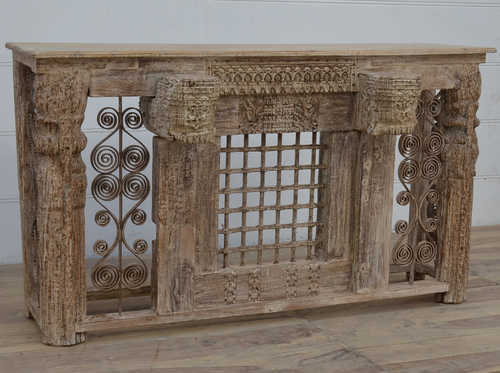 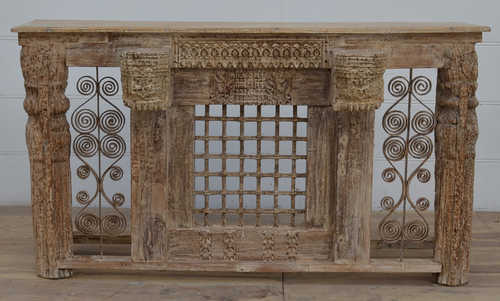 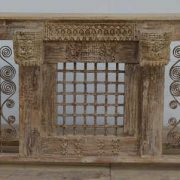 A most unusual console table – impressive and eye-catching with hand carving and skilled metal work. 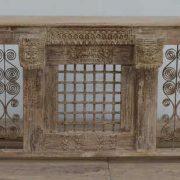 This extraordinary piece of Indian furniture is quite unique and distinctive, with it’s multiple hand carvings and metal work. 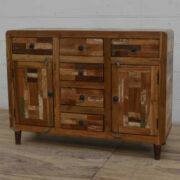 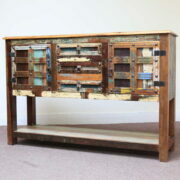 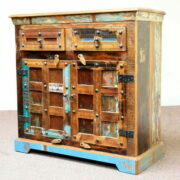 Made from mango wood and constructed in Jodhpur this console exemplifies skilled Indian artisan work. 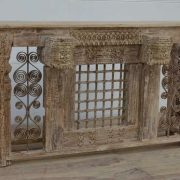 Protruding out of the front are two intricately hand carved nodules adding to it’s individual look. 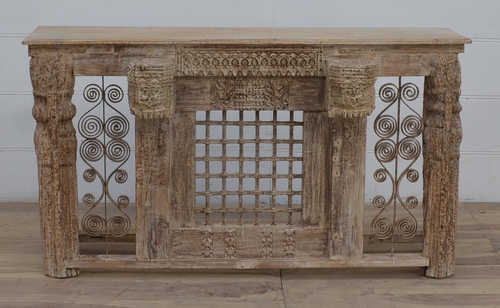 The metal work has at the front a forged iron grill, while to it’s side are beautifully turned scroll designs that flow both up and down – these are replicated to the sides of the console. 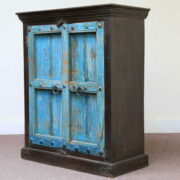 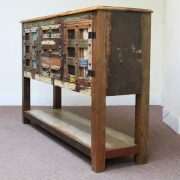 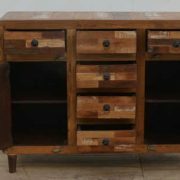 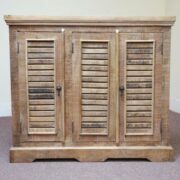 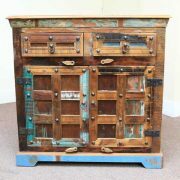 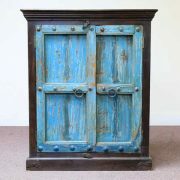 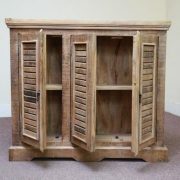 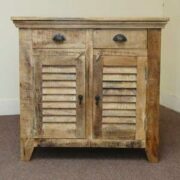 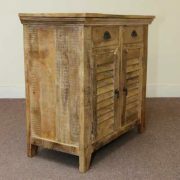 The wood has been sympathetically painted in a light wash and this item would certainly be a stand out piece of furniture in the home.